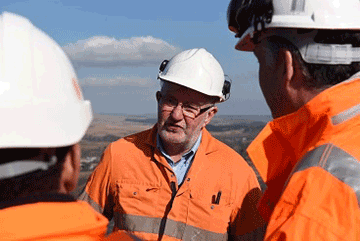 Membership of the Institute of Quarrying is about supporting you and your commitment to the quarrying and the minerals extractives industry. Our membership structure allows you to grow as your experience in the industry grows. Student Membership: Ideal for anyone studying geoscience or engineering degrees and looking at the minerals extractives sector as a career option. Associate Membership: For anyone who is working in the industry but hasn’t yet got any formal industry qualifications. Technical Member: For anyone with a technical skill or expertise that has been underpinned by a technical qualification, for example the Level 3 Diploma in Quarry & Mineral Processing Maintenance Operations and has at least one year’s relevant work experience. Member: Identifies those people working in supervisory, management or specialist roles that have known industry qualifications, for example the Diploma in Quarry Technology from the University of Derby. Fellow: Recognises those people that have senior management experience.